The symposium will be a unique event bringing together for the first time the worldwide leaders in Diamond Photonics Physics, Technologies and Applications. 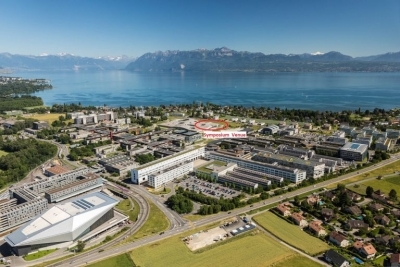 It will gather on EPFL campus the key international players of academic research in physics and photonics, in growth and fabrication technologies, together with companies engaged in bringing the applications of diamond photonics to the market. As a meeting point for physicists, engineers, materials scientists, and entrepreneurs, the symposium will decisively contribute to the emergence of novel quantum technologies in photonics, such as quantum-enhanced sensors and secure communication devices, and of novel industrial photonic components such as cavities for high power lasers. The symposium will give impetus to the Swiss academic research in this burgeoning field while leaving a lasting impact on technology transfer to the photonics industry, at EPFL and in Switzerland as a whole. On the last afternoon of the conference, we propose to close the symposium with an unforgettable wine tasting event in the unique setting of Lavaux — one of the UNESCO World Heritage Sites. 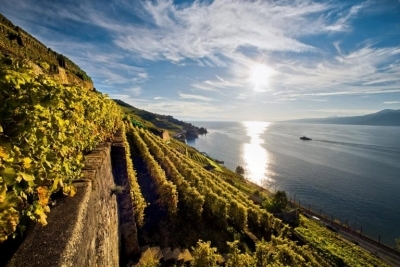 You will be able to discover the elegant wines from Le Clos de la République, overlooking the breathtaking landscape of the terraced vineyards of the Lavaux and the Lake Geneva. Please register to this Event when registering to the Symposium. Price: 50 CHF / pers.